Since its introduction in 2013, the Pike has had everything pretty much its own way, and rightly so. It’s light, stiff, reliable, competitively priced and boasts first-rate performance. 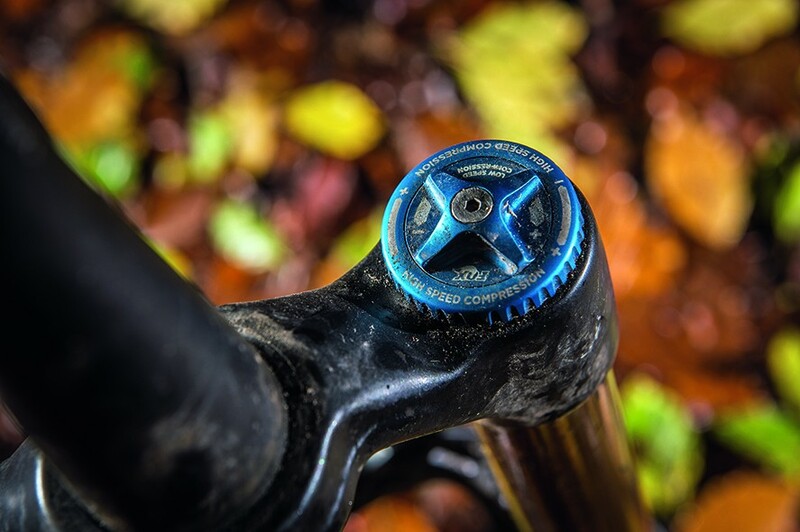 Available in every possible wheel size and travel combination, the Pike was the first truly cross-platform fork that covered every segment outside of XC and downhill. It was also a massive shot across the bows of Fox, a company that had dominated the high-performance fork market for the best part of a decade, yet already found itself in troubled waters with its new CTD damper and less-than-smooth transition to Asian manufacturing. Fox didn’t take things lying down, however. The production process was streamlined and, two years on, Fox is back in the game with a new 36 fork. Not only is it lighter, it has damping and chassis improvements inspired by the company’s World Cup DH race fork. All well and good, but is the new 36 better than the Pike? That’s the question that most people ask when they see the 36 on my bike. But before I answer that, let’s see how the forks stack up on paper. On the scales, the 160mm 29er Pike is 100g lighter than the 36. That’s not the whole story, though. Both forks use post brake mounts, but you need a 30g adapter to run a 180mm rotor on the Pike (the Fox is 180mm direct mount). This brings the weight difference down to 70g. Not much more than the weight of a plastic mudguard, then. Ditch the 15mm axle inserts on the 36 and use the 20mm axle that’s also supplied, and there’s even less in it. 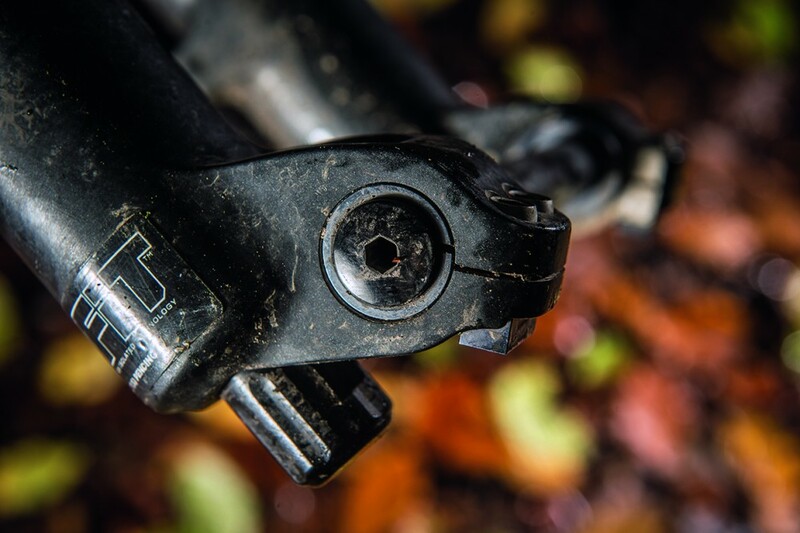 Unless of course you have to take the front wheel out to squeeze your bike into the boot of your car — this is where the convenience of the Maxle easily outweighs any stiffness benefits from Fox’s pinch-bolt design. Both forks are air-sprung and use volume-reducers to custom-tune the spring curve. 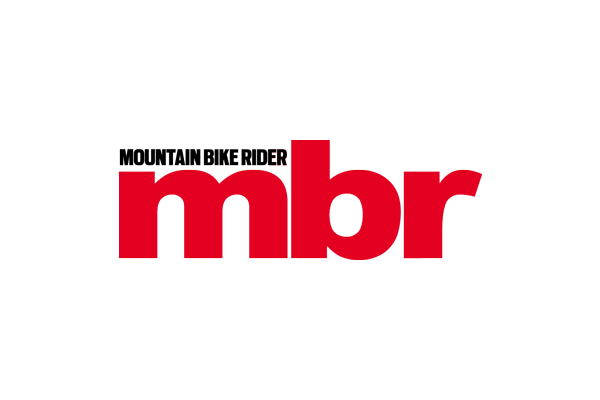 This means that less aggressive riders can still get all of the available travel by using fewer volume-reducers, while faster riders can get more ramp-up and mid-stroke support by adding spacers. It’s a great feature on both forks, an added benefit being that it allows you to match the progression of the fork to your rear suspension. 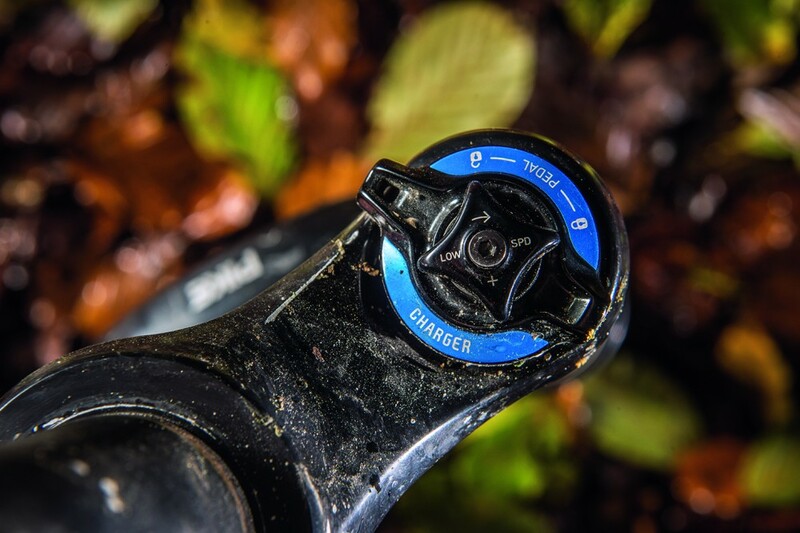 If you’re riding steep, technical trails, adding an extra Bottomless Token offers a huge improvement to the Pike, regardless of wheel size or travel. On the 36, the stock blue 7.5cc spacer works perfectly for the 29er fork, but we found the 650b version felt better with two 7.5cc spacers. What about the damping? This is where it gets interesting, as Fox really has the upper hand here. There are no platforms or lockouts on the 36; instead, you have fully adjustable independent high and low-speed compression damping. And you can really feel what the adjusters are doing to the ride. If you’re getting too much deflection in a rock garden, just reduce the high-speed compression by a couple of clicks. The rebound control is equally sensitive; three additional clicks will actually lower the ride height of the front end. Swapping between both forks it was obvious that the front end of the bike felt higher with the Pike, even though the axle to crown heights are within millimetres of each other. I went through the entire range of rebound adjustment on the Pike from almost fully open to two clicks out from fully closed and, while this had a big effect on comfort, it didn’t really change the ride height. Getting the optimum set-up on the Pike is much more about fine-tuning the air spring. The usable range of damping adjustment is also very different. On the 36, you need to be at the open end of the adjustment range on rebound and high-speed compression, whereas the Pike needs the low-speed compression and rebound adjusters screwed in more than halfway to have any real effect. 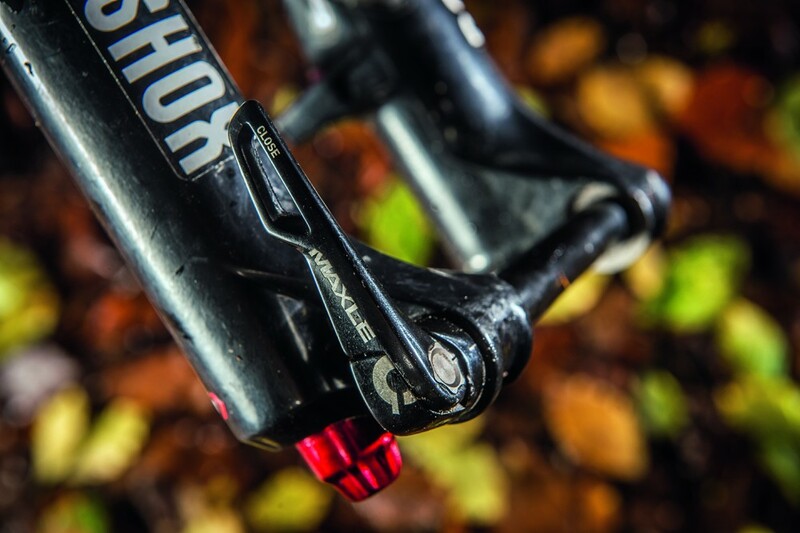 Ultimately, it’s the ability to really drill down into the damping settings and fine-tune the ride that gives the Fox 36 an edge over the Pike in terms of outright performance. It holds its shape better under fire, and because the 36 feels more composed when you’re riding near your limit, it doesn’t feel like you’re on such a knife-edge. This in turn gives you the confidence to push harder and ride faster. So the Fox 36 is better than the Pike, but those marginal gains come at a price. 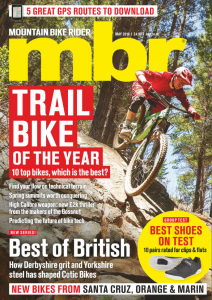 Given that you can pick up the RockShox for £300 less than the Fox, without even having to shop around, only you can decide whether that extra five per cent in performance is worth the money.